The Llanelli Wellness & Life Science Village is a visionary project being developed by ARCH (A Regional Collaboration for Health), a unique collaboration project between Hywel Dda and Abertawe Bro Morgannwg Health Boards and Swansea University and spanning the six local authority areas of Ceredigion, Pembrokeshire, Carmarthenshire, Bridgend, Neath Port Talbot and Swansea. The £60 million project, being led by Carmarthenshire County Council, will be the first of its kind in Wales and unique to Llanelli. It is a key project for the Swansea Bay City Region and is earmarked to receive £40million as part of the £1.3billion City Deal funding. The largest ever regeneration project in South West Wales, it aims to improve the health and wellbeing of people across the region, creating high quality jobs and boosting the economy. The team at iCreate were asked to develop a flythrough animation which would show the vision for the project, putting it in context with its coastal location, demonstrating the scale of the programme and illustrating the ideas in a way which would make it more tangible and credible for investment. The objectives to help people visualise what is being proposed for Llanelli Wellness & Life Science Village, to gain support for the development amongst local people and with potential partners and funding bodies. At this early stage, no plans or drawings existed for any of the buildings on site and we were truly working with a completely blank canvas. The 4 minute flythough highlights key aspects of the proposed development: The Wellness Hub, incorporating the Institute of Life Science, the Community Health Hub, the Integrated Rehabilitation Centre and the Wellness Education Centre; the Outdoor and Indoor Sport and Leisure facilities and the wider Ecopark which adjoins the main site. 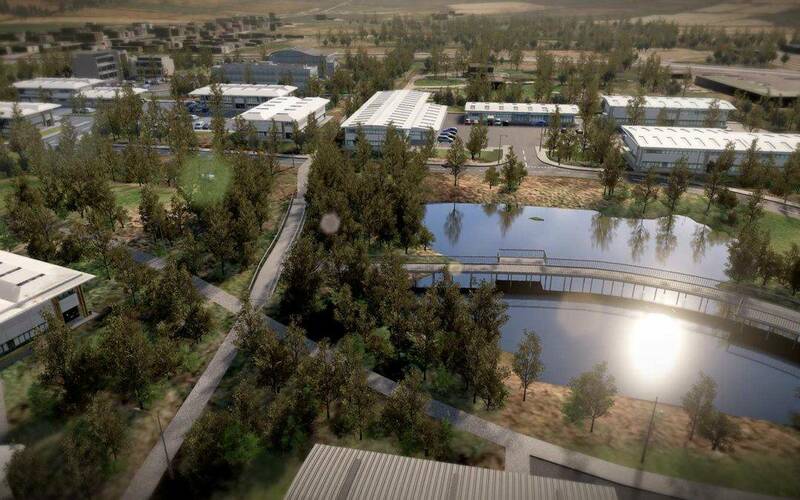 Since being completed, the flythrough has quickly become the main communication tool for the project team and has been used to illustrate the plans for the Wellness Village at every opportunity to various audiences, leaving people impressed with the scale, ambition and vision of the collaboration. Professor Marc Clement, Vice President of Swansea University, Institute of Life Science Executive Chair, Dean of School of Management.